Attack 1 : Vote If You Hate Him. 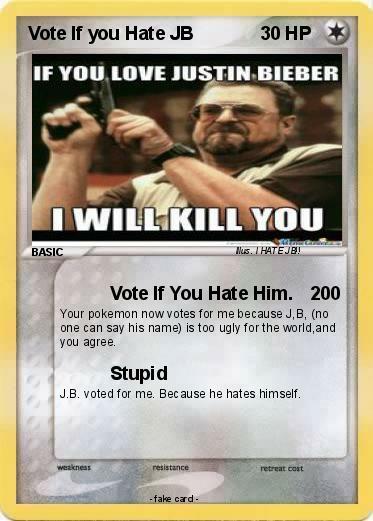 Your pokemon now votes for me because J,B, (no one can say his name) is too ugly for the world,and you agree. J.B. voted for me. Because he hates himself. Illustrator : I HATE JB! !